On this week's episode, I welcome back Lucas Marino, branch chief for the US Coast Guard and founder of Marino consulting back on to the show. We talk about leadership styles, communication and why trust is so important in leadership. 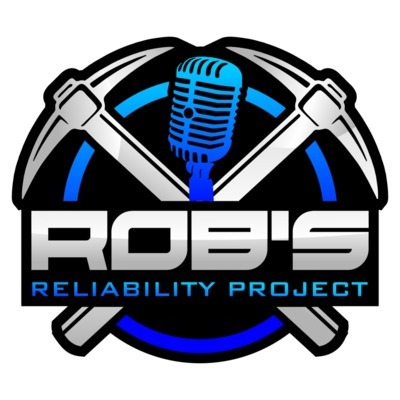 Follow Rob's Reliability Project on LinkedIn - https://www.linkedin.com/company/robsreliabilityproject/ Follow Rob's Reliability Project on Facebook - https://www.facebook.com/robsreliabilityproject/ Follow Lucas Marino on LinkedIn - https://www.linkedin.com/in/lucas-marino-pmp/ Follow Rob Kalwarowsky on LinkedIn - www.linkedin.com/in/robert-kalwarowsky-p-eng-03a43552 If you have any questions, business inquiries or if you'd like to appear on the podcast, email me at robsreliabilityproject@gmail.com. This week's episode is sponsored by Fluke and I welcome back John Bernet to the show. We talk about why we need to start off with criticality or RCM to determine our maintenance strategies, mistakes people make when starting a vibration analysis program and we dive deeper into vibration analysis. If you want to learn more about Fluke's products or about John Bernet, go to accendoreliability.com/go/fluke Follow Rob Kalwarowsky on LinkedIn - www.linkedin.com/in/robert-kalwarowsky-p-eng-03a43552 If you have any questions, business inquiries or if you'd like to appear on the podcast, email me at robsreliabilityproject@gmail.com. This episode's for all the listeners who travel a lot, for work or pleasure, and want to stay healthy while on the road. Dr. LaTouche from Thrive Workplace Wellness, www.thriveworkplacewellness.com, shares his tips on sleep, diet and exercise while traveling. Email any feedback to reliabilityrocks@gmail.com for any reliability, maintenance or health topics that you'd like on the show! I give you 6 tips on how to engage people and build a reliability culture so you can progress on your reliability journey. I hope you enjoy it! In today's episode, I break down how you can start using machine learning without needing a data scientist or without knowing how to code Python or R. Check it out! I sit down and have a great discussion about Machine Learning, Artificial Intelligence and how to apply them at your site with Blair Fraser, a digital transformation leader from Lakeside Process Controls. Sanya Mathura joins me to talk about her experience in reliability in the Caribbean, root cause analyses, oil analysis and lubrication. Check it out! My guest today is Dr. Liam LaTouche, ND. He helps me understand how to eat healthy on the go and while on the road. You can get more information from Dr. LaTouche at www.liamlatouche.com (for personal use) or www.thriveworkplacewellness.com (for corporate use).